Mold can occur on wood decking and uncapped composite decking. Learn how and why this can happen, what to do to remove it, and the steps you can take to prevent mold from returning. If environmental conditions are right, mold can grow almost anywhere – on wood, vinyl, sheetrock and even decking. Since it is not a product defect, the mold is usually not covered under product performance warranties so it is important to keep the decking maintained. There are steps that you can take to minimize the likelihood of mold growth. Mold is more pervasive on wood and uncapped decking products, so choosing capped composite is a smart first step. Capped composite has a protective outer layer that surrounds the core of the deck board, which will limit mold growth. Mold is a result of environmental factors, including airborne pollen, leaf litter, and weather. While mold spores are lightweight and become airborne, if they are in your surrounding environment – the eaves of a home, the roof or fence – they can settle onto the decking. Once there, mold growth can be created with a few key ingredients. It four things to thrive: air, water, 40-100 degree temperatures and a food source. A food source includes debris, pollen, leave and other organic materials. If mold growth is already present, using outdoor cleaner application, that can be found at your local hardware store, that will help kill the bacteria. 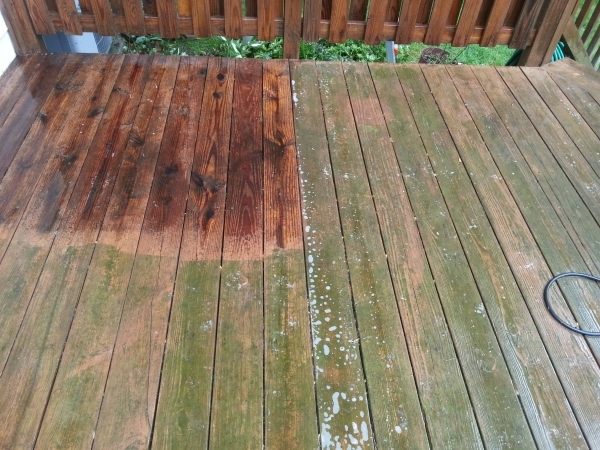 It is important to not use a power washer to clean your deck for it can cause the mold molecules to seep deeper into the surface. Cleaning your deck as often as needed can help reduce the amount of food source and maintain your deck for a longer period of time. 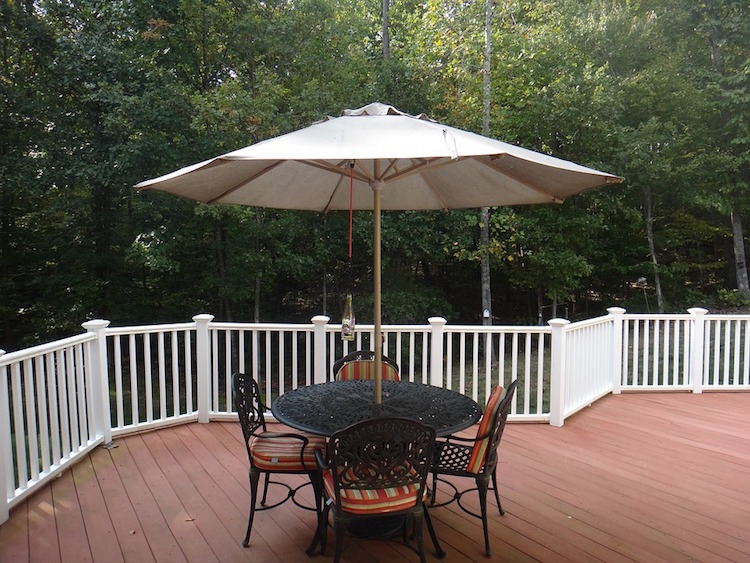 Here at Sunset Ridge Exteriors, we can help with your decking needs. If you need a deck repair or replacement, contact Sunset Ridge Exteriors at (608) 838-2500 for a free consultation.